Ow started existing late 2001 when Chris & Thomas, who kept playing together since the split of Zen Torpedo, met bass player stefan through mutual friend Elko, who also joined a few months later. in the fall of 2003 Stefan left and Jan Stoop joined the band. 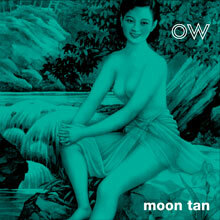 Ow tries to play naïve, dreamy instrumental music, sometimes inexplicably happy, often hard and sad . Ow has the pretence that, although without lyrics, their music is actually about something, namely, everyday things like loneliness, confusion, alienation,depression, being lost , snails, lost love, snowboarding, the decline of western civilisation, evil women (on tv) , food and alcohol abuse, loss of memory. They recorded their first CD ‘Nowhere’ with the help of Dimitri and Geert (ghosttown studio’s) which is released on Heavenhotel.